We are trusted copper recycling specialists in Sydney! We have experience with both Industrial and Commercial customers with fast service and removal turnaround. Copper recycling is the re-using of existing copper into new applications. Copper is gathered and taken from unused or discarded items big and small, from communities and industries and are processed to render it usable once more. Why is Copper recycling great for the environment? Copper recycling is great for the environment as it removes this metal from our landfills or prevents used copper metal from ending up in dumps in the first place. Unsightly scrap metal piles, of which copper is often a major component, can also be potentially dangerous. Discarded copper usually are usually sharp and can cause fatal injuries. Not only do rodents and pests take shelter in piles of discarded copper, hazardous chemicals used in the manufacture of copper items can leach to groundwater as the metal breaks down slowly. Copper is used in many things from thin electric wires to bulky machine parts to gigantic vessels such as ships. 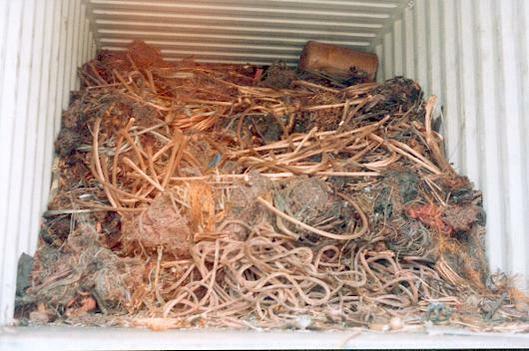 Copper recycling effectively prevents more retired boats, trains and aircrafts from being left in massive graveyards around the world. Copper recycling saves tremendous human effort and fuel energy that is spent on mining the ore from which this conductive metal comes from. Producing huge quantities of copper from smelting and finally putting the metal through various processes to render it ready for industrial applications once again uses a lot of energy that could be put to better use- like sustaining renewable resources or processing alternative fuels to make them available to the fuel consuming masses. When did Copper recycling start? Copper first came into use after the Stone Age and its use persists well into modern times. Copper recycling has been around since when man first made it into weapons, vessels and idols. Copper was deemed precious as it required tremendous heat to smelt it and thus copper recycling from old, used, melted sources was preferable to starting the process of acquiring copper (mining copper ore) all over again. Modern copper recycling started around the Industrial Revolution and blossomed further when fossil fuels were discovered that made consistent heating of copper furnaces possible. Why choose Scrap Metal Sydney for copper recycling? For copper recycling, choose Scrap Metal Sydney. 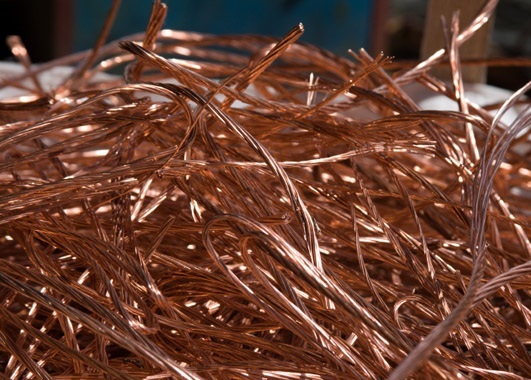 We are a local company whose business is to recycle copper from old and new copper scrap in order to provide quality copper metal for our clients. We buy scrap copper at the best prices, to see today’s scrap copper please visit our website or call us, our price list is regularly updated to provide you with accurate scrap copper prices. Copper recycling has been existing for over 10,000 years to date now. Ancient craftsmen participated with such activity to produce new ornaments. Copper’s recyclability can be taken more of its advantage, if one so desires that to happen just to contribute to the welfare of the world. It is a fact that this kind of metal is also 100% recyclable. Literally, all the materials made from it, whether raw or not, can be recycled over and over again. Ever heard of the Colossus of Rhodes? It was claimed to be made out from copper; however, there are no remains or traces of it since it was again, processed few centuries ago to give birth to new products and artifacts. Moreover, war cannons utilized during the middle ages were also remelted, refined and processed to make new useful materials. Copper has a long life span. The cables and water pipes one just purchased can still look and function as the same after a few decades. Architectural products such as the roofing can also exceed a life span of more than 100 years. It is therefore not a good idea to throw them and let them decay because landfills and dumpsites are more scattered and are piling up like a huge mountain of garbage due to the people who do not know its real worth. It is a valuable piece of metal. It can’t be regarded as scrap per se. It has many benefits to offer. Aside from reducing the wastes in landfills and dumpsites, copper recycling never amounts any loss of its quality, may be its physical or chemical properties. Manufacturers of metals do not have to step into high gears of extensive energy expenditures to make new copper sources since it can be renewed again. It saves energy and natural reserves for future use. This activity also enhances and improves one country’s economy since the economy of the copper industries is highly dependent on it. Copper recycling has been proving its valuable worth ever since. It just takes a little amount of effort to recycle these scrap metals and the consequences of it are far rewarding and excellent than imagined. Call Scrap Metal Sydney today!